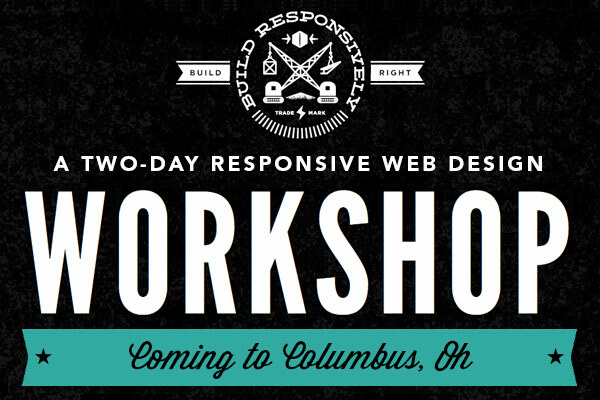 Announcing our second responsive workshop, slated for July 9-10 in beautiful Columbus, Ohio. With one under our belts and hopefully many more to come, Sparkbox is pleased to announce that our second Build Responsively Workshop is on the calendar. This responsive train will be rolling into Columbus, Ohio July 9-10. That's right, folks, we're extending the workshop to two days. Tickets go on sale May 21. Due to the one-on-one nature of the workshop, we're keeping it small at 80 seats, and we expect them to go fast. Mark your calendars today, kids.